Most of the nearly 44,000 racing fans who flocked to Randwick today were there to see one horse – and she didn’t let them down. 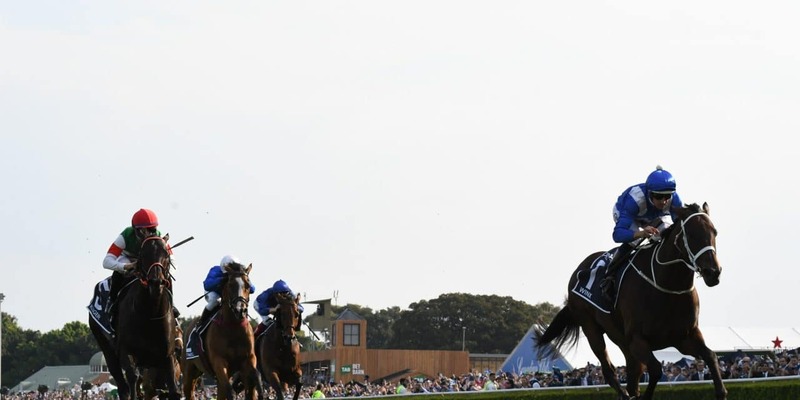 In the final chapter of her 43-start career, the incomparable Winx was at her imperious best as she again outclassed her rivals to complete an unbeaten 33-win streak. On the fourth anniversary of her last defeat in the Australian Oaks, she and Hugh Bowman responded as they have done for so long to adulation that began from the time she arrived at the saddling stalls. That had built to a crescendo by the time Winx reached the mounting yard and continued unabated. A roar went up when, for the last time, Bowman was legged aboard, again when the pair emerged from the tunnel and stepped onto the track, and again when the field jumped from the 2000-metre start point with all eyes on the $1.05 favourite. A cynic might describe what followed as boring, a realist might call it clinical, but for everyone else it was pure poetry. The first surprise was that Ranvet Stakes runner-up He’s Eminent didn’t take up the running and dropped out to the rear, but that was probably to do with how worked up he had become in the tumultuous pre-parade. Winx, meanwhile, had slotted in two-wide midfield and cruising as the outsider Mask Of Time carted the field along. Japanese-trained Kluger took over when that runner flagged, but looming out in the middle of the track with 400 metres to run was the awesome spectre of Winx. As she put in those raking strides with Bowman doing no more than go with her, this would indeed be the dream finale, the one they had all come to witness. To his great credit Kluger put up a massive fight, not flinching an ounce but simply proving no match to greatness. Blue and white were the only colours as the crowd went wild, Winx lapped it all up and charged across the line a length and a half in front. The veteran Hartnell was another two and a half lengths back third, followed in by fellow eight-year-old Happy Clapper. New Zealand hope Danzdanzdance never got into the act and was just as disappointing as He’s Eminent. To the strains of the Tina Turner classic “Simply the Best”, Bowman took his time as he brought Winx back past the stands, up the straight and then, for the first time in the 33, trainer Chris Waller went out and led her back to the winner’s stall. The finale could not have been more perfect, marking a neat century of Group One wins for the man who has had to soak up so much pressure as his champion of champions collected win after win. “I guess it’s been like this for the past 18 months,” he reflected, acknowledging not only the mare’s owners, his brother in arms Bowman and his staff, but also his wife Stephanie and on what today was a rare raceday appearance, their children Tyler and Nikita. Bowman, whose part in the Winx story has also been huge, let similar and even deeper emotions out in his epilogue. “It’s going to be nice to have my life back,” he admitted. “Having a young family and such a supportive family has kept everything very real for me. Having children certainly keeps everything in perspective, especially young children. “Over the last 12 months there has been a few things in our lives that have happened to also keeps things in perspective. Our good friend Pat Smullen was diagnosed with pancreatic cancer about 18 months ago. He is in a good place at the moment. “I’ve known three or four other friends who have died from the disease since then. Christine’s brother took his own life in May last year and that was very hard for us all. “I’m so glad Tye Angland could make it here today. He used to sit beside me at Warwick Farm and I think so much about him. For me, that is where I get strength from. Peter Tighe, representing one third of the membership group that has garnered such a wealth of financial and intangible benefit, was eloquent in his appraisal of the ride he and his group have enjoyed.